1. Lined blended fabric bag. 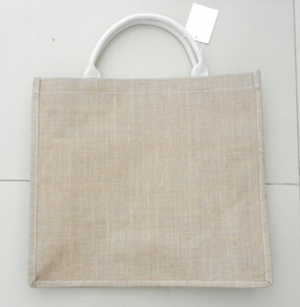 As you can see from the picture, this kind of fabric have natural brown color and it is linen blended fabric, so many customers like this kind of bag because it feels more natural. An important factor, this kind of bag is cheaper than normal cotton bag and also has natural feeling. 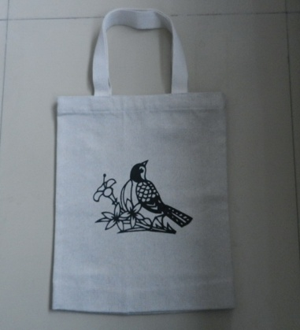 Also another kind of eco bag, this kinds of is more popular on Canton Fair compare to previous. After laminating, it can easily keep a nice shape and strong enough. 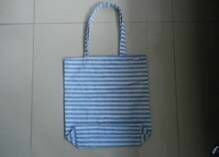 Meanwhile, many customer like this kind of bag, because it has the feeling of home textiles, approachable personality. And also cater to some art van people’s interest.